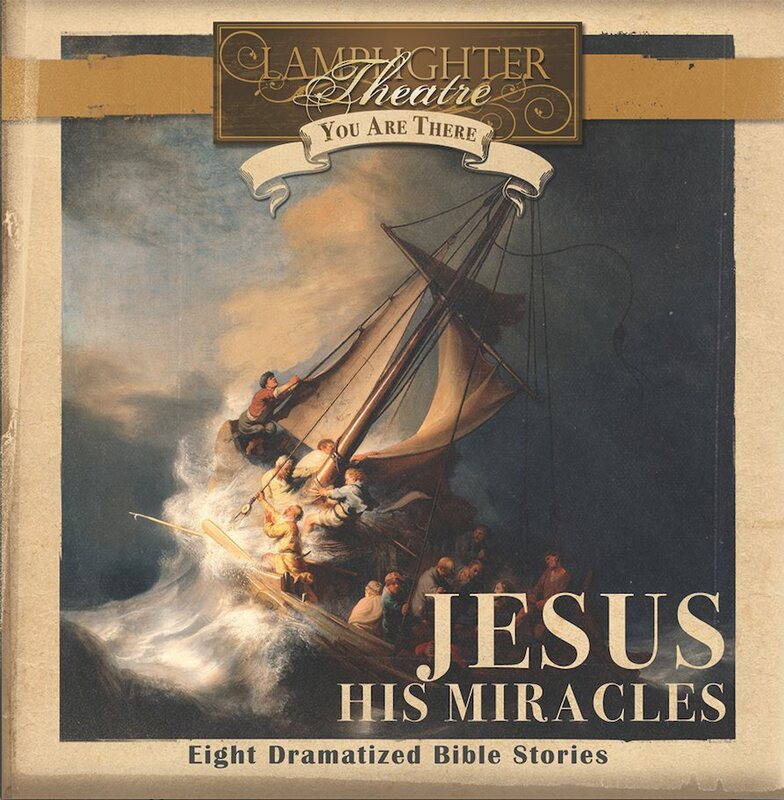 Jesus: His Miracles will transport you back in time to hear Luke, the physician, give his account of the life and miracles of Jesus. Hear Jesus call Peter to walk on water, watch Jesus feed a crowd of 5000, heal a blind man, raise a girl from the dead, and demonstrate His power over physical and spiritual impossibilities. From Anonymous of Wabash, Indiana on 1/4/2018 . This was good but not my favorite. I liked it since it was the first I've heard it, but felt it wasn't quite as powerful as some of the others, which was a little disappointing since it was about Christ. From Sara Acker of Charlotte, North Carolina on 4/25/2017 . I like the script of this drama, and the attempts to make it authentic. My boys really enjoyed it (they are 6 and under). My only critique is that there is some really overdone acting, which I didn't find present in the original Christmas You are There. Although some Biblical stories definitely call for drama and shouting, some of these voice actors take it to a new level. It makes it hard to listen to at times. From Anonymous of Salem, Oregon on 12/6/2015 . Jesus Miracles was a wonderful presentation that moved my wife and I to appreciate and love our Lord and Savior more than ever. The oral dramatization was so real and professionally performed. The dialog between Dr. Luke and his friends was so natural and the way in which the gospel was shared encouraged us to be more diligent in sharing Christ with others. It is one of the best Lamplighter orations we have experienced. From Bob M of Raleigh, North Carolina on 11/24/2015 . These are the original "You Are There" recordings that our kids loved when they were little. Glad to be able to get our hands on them again for the grandkids. My only complaint is the silly introduction to each segment of the stories - folks, you only need an intro one time!